In this review we are going to have a look at a new binary options scam called the “Millionaire Replicator”. It is presented by Sean Valentine. 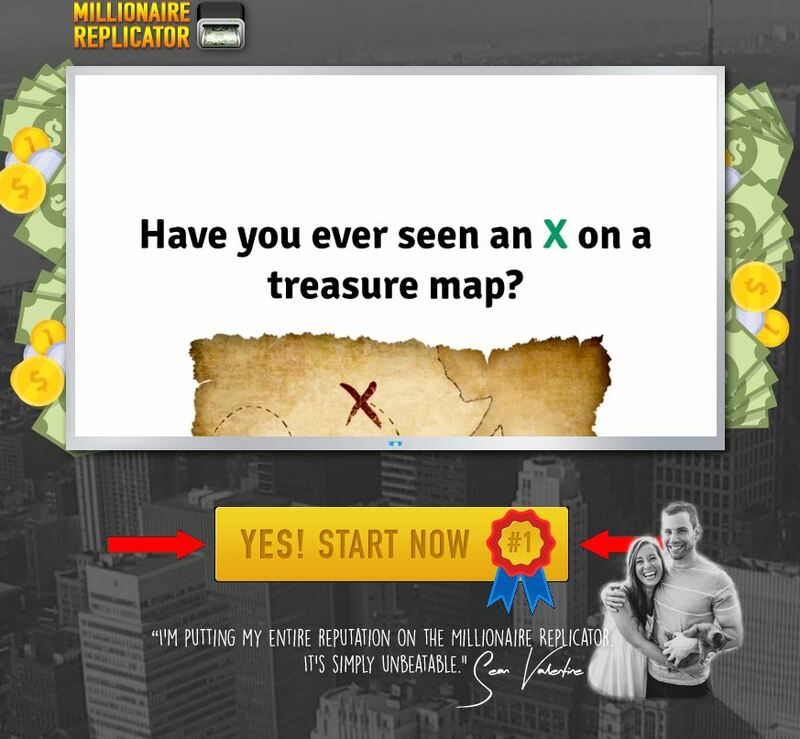 Valentine says that Millionaire Replicator is a binary options robot, but not an automated trading algorithm. It fact it is supposed to copy trades from their Wall Street and London Stock Exchange elite traders in real time. This way it is supposed to make money, the app will copy trades on your account completely on autopilot. You can get a free licence, but free spots are allegedly limited to 135. But you will have to pay them a 10 % commission from your profits. See how scammers rebrand the same app. Valentine uses the usual tricks of scammers. He says that everybody else is here to scam you and that only the Millionaire Replicator is the real deal. There are also the usual questions that you should ask, like why would they give away their Millionaire Replicator for free? Or would they need TV and radio appearances to find 135 people that want money for free? But to prove that the Millionaire Replicator is a scam is much easier than this. Because it is in fact an app that we’ve seen many times before with different binary options scams like Centument or Medaillionaire. So obviously this is the same group of scammers that is creating new projects over and over again. The only purpose of the Millionaire Replicator is to make you open a trading account and deposit money, $250 at least. Because this will earn an affiliate commission to these scammers. If you then let their app trade your account, you will lose your deposit. Binary options are a wonderful and easy to understand trading tool. You can make money with them just like with stocks or commodities. But not without any effort, you have to learn trading and build a profitable strategy. You can try to do so on a free demo and see how it works.